Artistically merely nonetheless astoundingly lovely, this bangle is bound to create your party look appear even lot of subtle and royal a lot of to your delight. 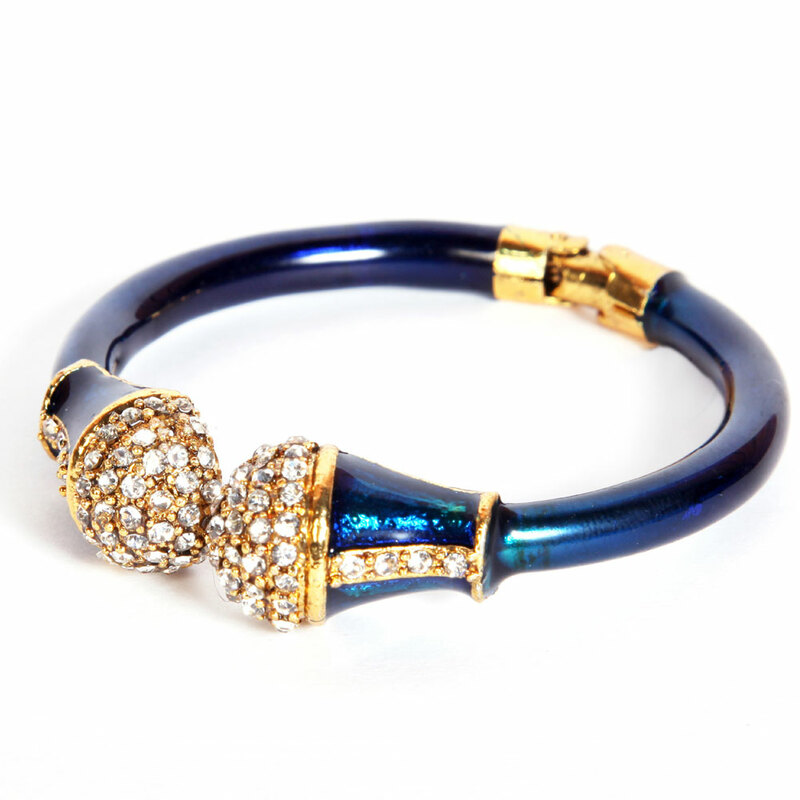 The plain blue girth of this designer bangle is just as interesting as the white stone studded head which looks more like a solid horn. Read More..Artistically simply yet astoundingly beautiful, this bangle is sure to make your party appearance seem even more sophisticated and royal much to your delight. Show Less..